Several long distance walks such as Wainwright's Coast to Coast and the Cumbria Way pass through the Lake District. Here we have collected together some titles describing these walks, including detailed guides. 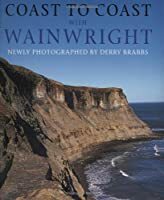 Wainwright's "Coast to Coast", 192 miles from the Irish Sea St. Bees Head on the West Cumbria coast to the North Sea at Robin Hood's Bay on the North Yorkshire coast. Ron Scholes's "Ravenber Way" which takes its name from the start and finish points, Ravenglass and Berwick-upon-Tweed (210 miles), passing through more of the central Lake District than the Wainwright route. 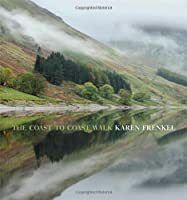 The Ramblers Association's "Cumbria Way", 70 miles from Ulverston to Carlisle, through the heart of the Lake District and then from Keswick to Carlisle via Caldbeck. The "Cumbria Coastal Way", 185 miles following the ins and outs of the coast from Silverdale on Morecambe Bay, round the Furness Peninsula and the Duddon Estuary before heading north along the West Cumbria coast past Whitehaven, Workington and Maryport to the Solway Coast and Carlisle.